Eighteen months after joining a study on using marijuana to treat post-traumatic stress disorder, Johns Hopkins University has pulled out without enrolling any veterans, the latest setback for the long-awaited research. Before committing your hard-earned dollars to the speculative cannabis industry, you must ask yourself these three questions. 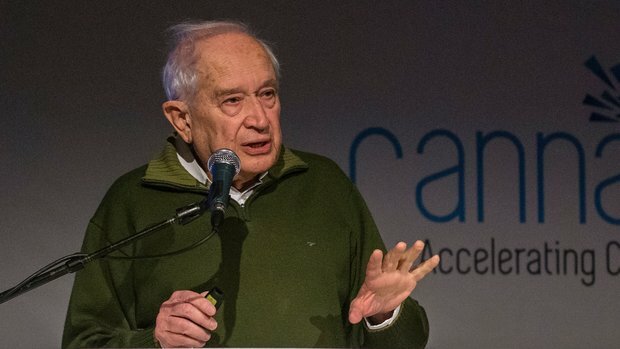 Raphael Mechoulam says his interest in cannabis has always been scientific. A potential impeachment of President Donald Trump would be bad news for the marijuana movement. With the news that President Trump’s former Defense Secretary Michael Flynn has offered to testify about the Trump campaign’s possible ties to Russia if he’s given immunity from prosecution, numerous media outlets have been bringing up the idea that it could lead to Trump’s impeachment. For some supporters of marijuana law reform, this may initially seem like a good thing; Trump’s press secretary did say recently we can expect “greater enforcement” of federal marijuana laws. However, it would actually be very bad, and could be the difference between the government taking a mostly hands-off approach, and the feds using everything in their power to shut legal marijuana down. At this point we know very little of how Trump will handle marijuana laws going forward. In the past he has stated that he’s in “100%” support of medical marijuana, and has said he supports state rights when it comes to marijuana laws (he’s also previously said he supports legalizing all drugs, but has walked that back). 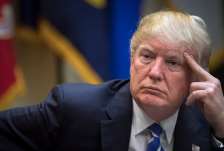 Since becoming president, short of the before-mentioned comment from his press secretary (which was quite vague), Trump has been mum on how he will approach this issue. In other words, we simply don’t know what President Trump will do. In 2012 Pence said in a debate that he opposes any type of marijuana reform because marijuana is a “gateway drug”, and in 2014 told CNN “I don’t support legalization of marijuana and that’s been my position for a long time and will continue to be”. This, along with Pence’s strong conservative background, make it very likely that a Pence Administration would use federal force in an attempt to halt state-level marijuana legalization laws – far more likely than we believe the chances are of the Trump Administration taking that approach. All of this said, a lot would have to happen for a Trump impeachment to take place, so this discussion may be moot. But, things have been crazy enough over the past couple years that a change of power at the White House wouldn’t be all that surprising. The post Why a Trump Impeachment Would be Very Bad for Marijuana appeared first on TheJointBlog.